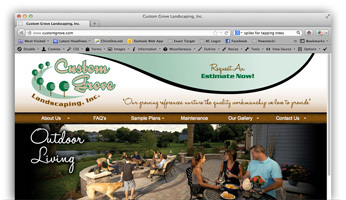 Custom Grove is a premier landscaping company located in Downers Grove, Illinois. They specialize in custom stone patios and outdoor living at its best. Dwyer2 Design created a beautiful digital showplace of their work and a resource center for their customers.